Food residuals are an untapped renewable energy source that mostly ends up rotting in landfills, thereby releasing greenhouse gases into the atmosphere. Food residuals are difficult to treat or recycle since it contains high levels of sodium salt and moisture, and is mixed with other waste during collection. Major generators of food wastes include hotels, restaurants, supermarkets, residential blocks, cafeterias, airline caterers, food processing industries, etc. In United States, food scraps is the third largest waste stream after paper and yard waste. Around 12.7 percent of the total municipal solid waste (MSW) generated in the year 2008 was food scraps that amounted to about 32 million tons. 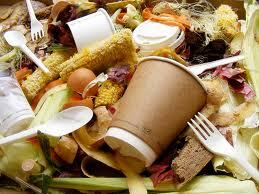 According to EPA, about 31 million tons of food waste was thrown away into landfills or incinerators in 2008. As far as United Kingdom is concerned, households throw away 8.3 million tons of food each year. These statistics are an indication of tremendous amount of food waste generated all over the world. The proportion of food residuals in municipal waste stream is gradually increasing and hence a proper food waste management strategy needs to be devised to ensure its eco-friendly and sustainable disposal. Currently, only about 3 percent of food waste is recycled throughout U.S., mainly through composting. Composting provides an alternative to landfill disposal of food waste, however it requires large areas of land, produces volatile organic compounds and consumes energy. Consequently, there is an urgent need to explore better recycling alternatives. Anaerobic digestion is the most important method for the treatment of organic waste, such as food residuals, because of its techno-economic viability and environmental sustainability. The use of anaerobic digestion technology generates biogas and preserves the nutrients which are recycled back to the agricultural land in the form of slurry or solid fertilizer. The relevance of biogas technology lies in the fact that it makes the best possible use of various organic wastes as a renewable source of clean energy. A biogas plant is a decentralized energy system, which can lead to self-sufficiency in heat and power needs, and at the same time reduces environmental pollution. Thus, anaerobic digestion of food waste can lead to climate change mitigation, economic benefits and landfill diversion opportunities. Of the different types of organic wastes available, food waste holds the highest potential in terms of economic exploitation as it contains high amount of carbon and can be efficiently converted into biogas and organic fertilizer. Food waste can either be used as a single substrate in a biogas plant, or can be co-digested with organic wastes like cow manure, poultry litter, sewage, crop residues, slaughterhouse wastes, etc. The feedstock for the food waste-to-energy plant includes leftover food, vegetable refuse, stale cooked and uncooked food, meat, teabags, napkins, extracted tea powder, milk products, etc. Raw waste is shredded to reduce to its particle size to less than 12 mm. The primary aim of shredding is to produce a uniform feed and reduce plant “down-time” due to pipe blockages by large food particles. It also improves mechanical action and digestibility and enables easy removal of any plastic bags or cling-film from waste. Fresh waste and re-circulated digestate (or digested food waste) are mixed in a mixing tank. The digestate is added to adjust the solids content of the incoming waste stream from 20 to 25 percent (in the incoming waste) to the desired solids content of the waste stream entering the digestion system (10 to 12 percent total solids). The homogenized waste stream is pumped into the feeding tank, from which the anaerobic digestion system is continuously fed. Feeding tank also acts as a pre-digester and subjected to heat at 55º to 60º C to eliminate pathogens and to facilitate the growth of thermophilic microbes for faster degradation of waste. From the predigestor tank, the slurry enters the main digester where it undergoes anaerobic degradation by a consortium of Archaebacteria belonging to Methanococcus group. The anaerobic digester is a CSTR reactor having average retention time of 15 to 20 days. The digester is operated in the mesophilic temperature range (33º to 38°C), with heating carried out within the digester. Food waste is highly biodegradable and has much higher volatile solids destruction rate (86 to 90 percent) than biosolids or livestock manure. As per conservative estimates, each ton of food waste produces 150 to 200 m3 of biogas, depending on reactor design, process conditions, waste composition, etc. Biogas contains significant amount of hydrogen sulfide (H2S) gas that needs to be stripped off due to its corrosive nature. The removal of H2S takes place in a biological desulphurization unit in which a limited quantity of air is added to biogas in the presence of specialized aerobic bacteria that oxidizes H2S into elemental sulfur. The biogas produced as a result of anaerobic digestion of waste is sent to a gas holder for temporary storage. Biogas is eventually used in a combined heat and power (CHP) unit for its conversion into thermal and electrical energy in a co­generation power station of suitable capacity. The exhaust gases from the CHP unit are used for meeting process heat requirements. The digested substrate leaving the reactor is rich in nutrients like nitrogen, potassium and phosphorus which are beneficial for plants as well as soil. The digested slurry is dewatered in a series of screw presses to remove the moisture from slurry. Solar drying and additives are used to enhance the market value and handling characteristics of the fertilizer. Food residuals are one of the single largest constituents of municipal solid waste stream. Diversion of food waste from landfills can provide significant contribution towards climate change mitigation, apart from generating revenues and creating employment opportunities. Rising energy prices and increasing environmental pollution makes it more important to harness renewable energy from food scraps. Anaerobic digestion technology is widely available worldwide and successful projects are already in place in several European as well as Asian countries that makes it imperative on waste generators and environmental agencies to root for a sustainable food waste management system.